I am so obsessed with 99 Ranch Market! it is close to my new job so I am able to stop by in-between clients. 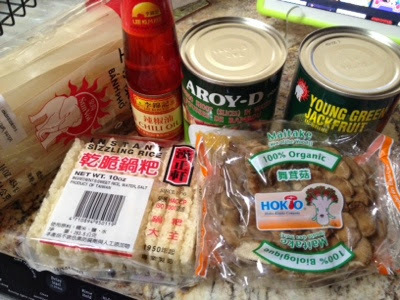 I got rice noodles, crispy rice patties (for crispy rice soup), mushrooms, chili oil, bamboo shoots, and jackfruit! 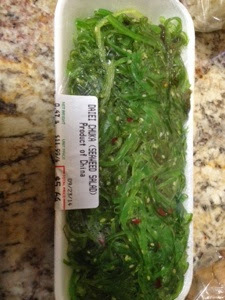 for lunch I had a big package of sea weed salad yum! I am so excited to try making tacos with the jackfruit! I loved the jackfruit "pulled pork" sandwich I had at this brewery near me so it inspired me to try to make something similar but with tacos. I will keep you posted.